When it comes to window treatments, there are so many styles to choose from — drapery, Roman shades, shutters, blinds. And aside from the style, you also have to consider price point, location, and most importantly, their purpose. To help you navigate these tricky waters, we've put together the ultimate guide to window coverings, to give you a better understanding of the benefits of each style so you can make the best decision for your home. Roman shades are basically just layered fabric. The folded look is designed to add depth and dimension to your windows, which is why Roman shades work best for windows that would otherwise "disappear" into the wall. Plus, they add a somewhat polished touch to your space, making your window look more finished than it would with simple blinds. Try them across a series of windows in your bathroom or above your kitchen sink like Brooke did from the blog Nesting With Grace as part of her remodel. Drapery panels come in a ton of different styles — pinch pleat, grommet, rod pocket, and more — that suit just about any aesthetic. They are a great option if you want to add decorative interest, drama, and most importantly, visual height to your room since they draw the eye upward. Curtains work beautifully in living rooms, formal dining rooms, and bedrooms, in particular. 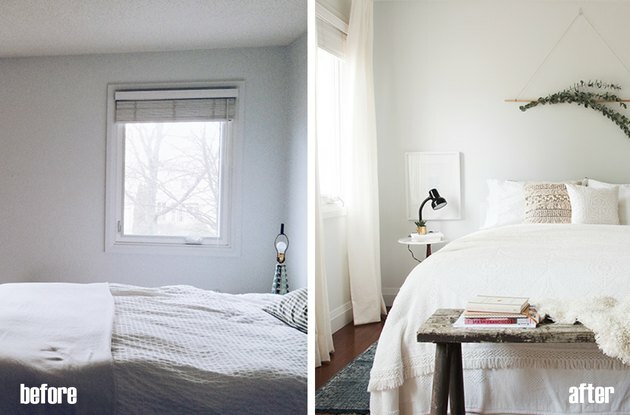 Just look at the dramatic difference they made in Love On Sunday blogger Amy Carrillo's bedroom remodel. Pro tip: Avoid using them in kitchens and bathrooms, where they're prone to collect dust and debris. Installed on a track so they can be moved back and forth, sliding window panels create an ultra-sleek look and are a great option for big picture windows or glass patio doors — anywhere you have a large space to cover, but need a degree of flexibility. They can be arranged so that each panel is side-by-side, fully covering your windows or doors, or pushed from side-to-side to allow more light or access, as needed. 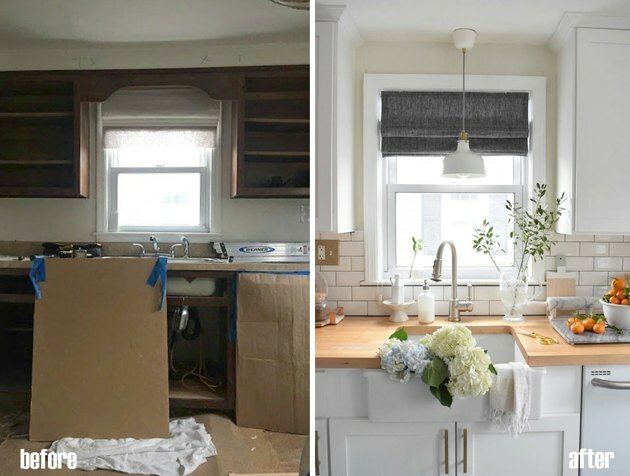 Check out the rest of Earnest Home Co. blogger Erin Souder's kitchen makeover here. 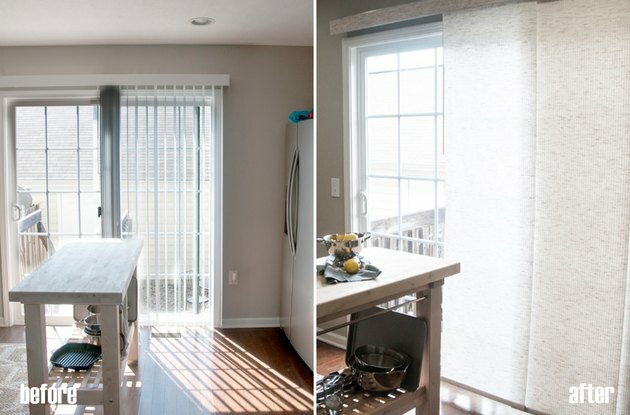 Woven shades look almost as minimal as blinds, but have the added benefit of bringing warmth and a bit of subtle texture to your space since they're made from wood, linen, bamboo, or cotton. That's why they're an ideal pick for busy spaces that could benefit from a simple window treatment, instead of drapery that might feel too overwhelming and cluttered. 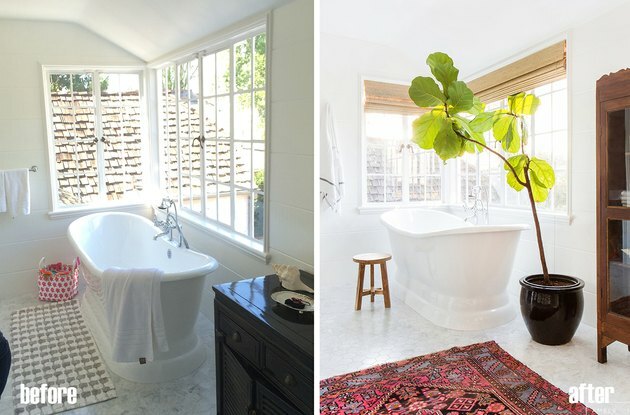 Since their casual material lends itself to a more relaxed feel, they tend to work particularly well in sunrooms, breakfast nooks, and other laid-back spaces like this gorg bath designed by Amber Interiors. Shutters aren't only for the outside of your house; they can make exceptional indoor window treatments, too. They're versatile, long-lasting, and they come in a wide variety of styles — plantation, accordion, half-window, and more — that can add structural appeal to your home's decor, too. Use them in just about any space where you want to exude elegant, yet relaxed vibes. 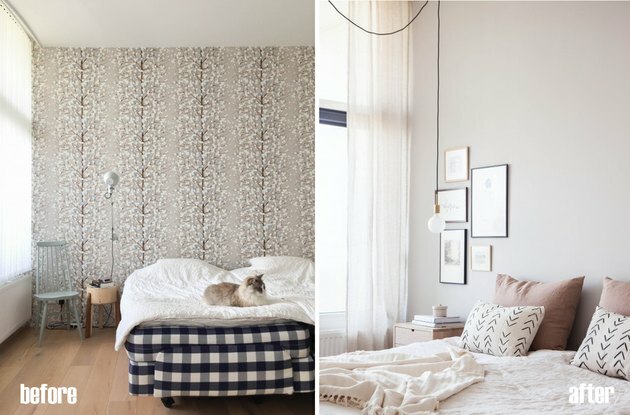 You can even style them with or without drapery panels, depending on your space. 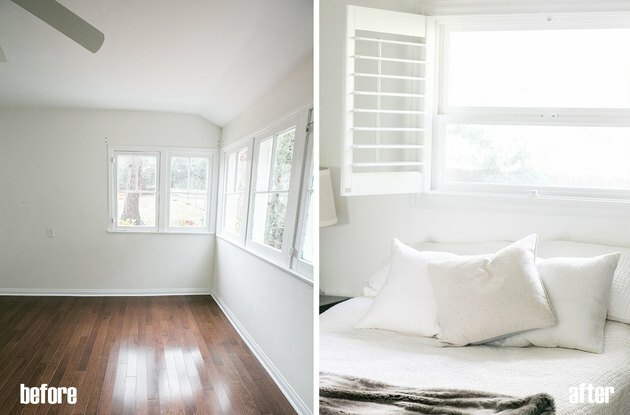 Sugar and Charm blogger Eden Passante added shutters to her 1950s ranch-style home and we couldn't approve more. Sheers are incredibly simple and understated as far as window treatments go, but they're great at creating a light and airy feel. They're ideal for spaces where you want to let a lot of natural light in — like bedrooms and living rooms — while still maintaining an element of privacy. 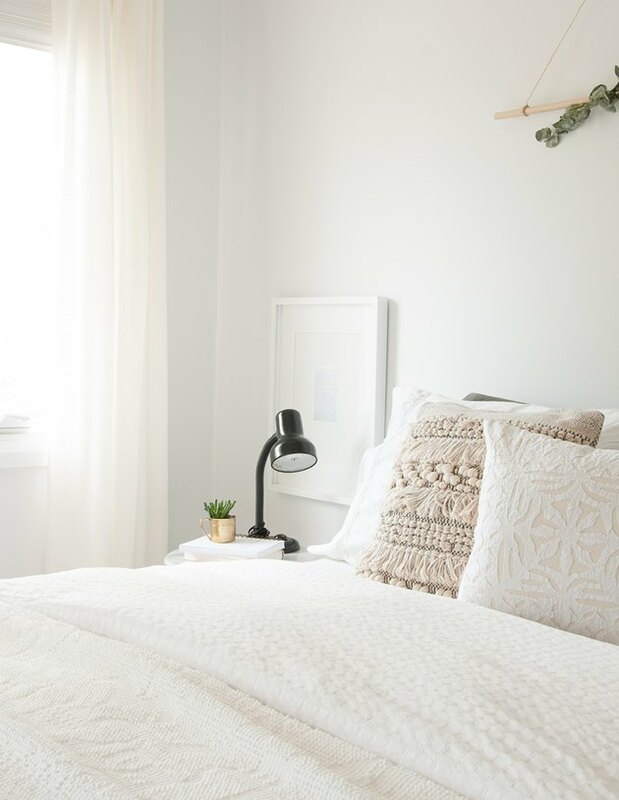 The ladies behind Avenue Design Studio chose an ethereal linen sheer for this bedroom remodel that is giving us all the feels. Horizontal blinds, or Venetian blinds, are one of the more traditional styles of window covering available. They are best suited in rooms where the window isn't the main focal point — like in an office, bathroom, or bonus room. Plus, they're totally customizable and they're an easy way to dress your windows on a budget. 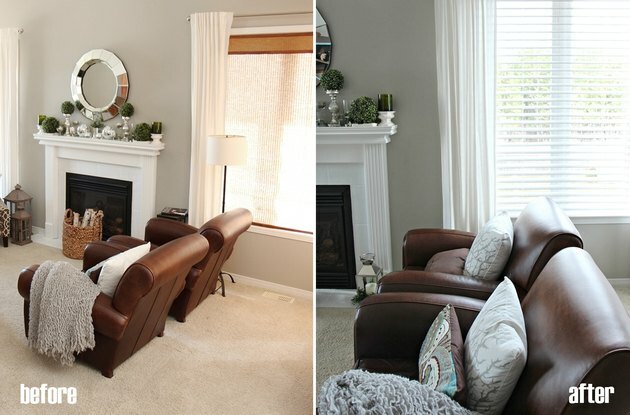 Heather from the blog Setting for Four updated her windows with these faux wood blinds to give her family room a bright and clean makeover. Roller shades are a minimally invasive option, meaning they won't detract from your view or your home's decor. Plus, they're easy to install and even easier to use; just tug at the bottom of the shade to pull it down or roll it up. And if that wasn't enough, they're one of the most affordable options around and can be completely customized to fit the width of your window. 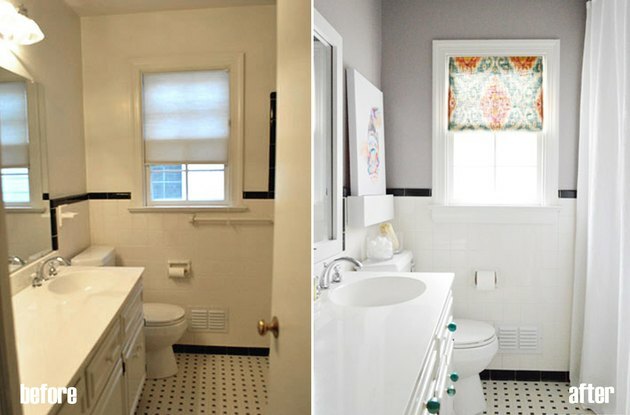 Can you believe it only took John and Sherry from the blog Young House Love 15 minutes to DIY this little bathroom shade? For spaces where a traditional window treatment just won't do — or where you want to keep your window style especially minimal — consider a window film or glass-frosting treatment. It adds much-needed privacy while still letting the light in, and, depending on how it's applied, it can add a bit of visual interest, too! 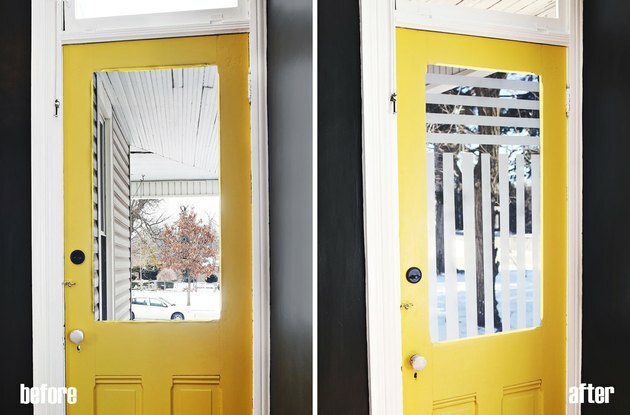 It's an easy option for upgrading windows over the toilet, glass patio doors in a master bedroom, or take a page from A Beautiful Mess and deck out your front door.